Small business is booming, with thousands of U.S. businesses seeking loans for capital to expand or to fund acquisitions. If your American business needs additional capital, consider turning to invoice financing as a much sensible funding option. The truth is that this could be a good choice for enterprises that want to expand and make their plans a reality. It’s naturally that small and medium-sized businesses gravitate towards traditional financial products, such as a business loan and overdraft. While in fact, almost half of those enterprises look for outside source of funding. Different off-the-shelf business financial products are not always the perfect choice when meeting your funding needs. It’s not always the case, though the chances that one option will suit all of your financial needs are rather slim. To help you make it big in day-to-day funding, the blend of different financial loans can be the key to cover your bases. Sure, each financial blend has a lot to offer. Case in point that every business is different meaning that only one of the top four financial solutions can help you get straight to the matter. And if picked right, you can expect to get more financial flexibility and greater growth opportunities. In times when cash gets a little tight, invoice financing becomes a popular way to release precious cash flow. Say, if your small or medium-sized enterprise seeks timely financing to invest in, consider using invoice financing to reclaim control of your cash flow. Waiting on payments from customers can often create big cash flow issues for your business. Instead of letting unpaid invoices collect dust and hinder your business, consider using invoice financing for small business. This is a great way to alleviate the strain of waiting for your money to come in, especially if you need working capital. With invoice financing, you simply pre-sell your unpaid invoices to a lender in exchange for a lump-sum payout. The latter will charge a fee which is typically around 3% plus an additional percentage each week your customer doesn’t pay up. The lender pays you 70-80% of the total invoice amount upfront, yet keeps a portion of the outstanding amount (15-20%) until the invoice is paid. At the end of the day, the fees can quickly add up, so as a business owner you should carefully weigh costs when choosing financial combinations for your small business. In general, a line of credit is used for working capital and short-term purchases. In other words, if your business has a shortage of cash or when you’re waiting for your accounts receivable to come in, a line of credit is your best option. Once you pay that line back down to zero, you can use it again, in the same way, the following month. Yet, combining a line of credit with invoice financing makes sense to those businesses that sell products or services to other enterprises and often have to wait 30 days or more for customers to pay their bills. If done right, your business can be put in a great position to have no shortage of money. Some of today’s most successful businesses, including Apple, Intel and Federal Express, were given a much-needed boost in their early days by U.S. Small Business Administration loans. The SBA program had approved $15.2 billion in loans in the fiscal year 2018 by mid-May, up 1.9 percent from the $14.9 billion approved in the same period in fiscal 2017. In fact, this SBA 7a Loan Program is the most popular of the agency’s programs which let you borrow money for nearly any business purpose. What’s more, it ensures that business enterprises are able to repay the loan over a very long period of time. It looks like a great option. In fact, though it requires a lot of time, energy and documentation to get one. 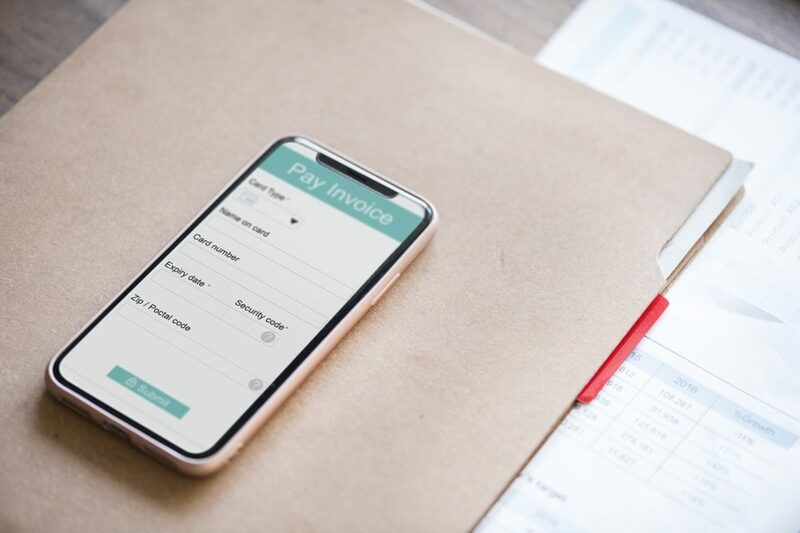 Luckily, in today’s highly competitive world, multiple alternative invoice financing companies open their doors to small businesses. They help open up your cash flow while you wait for customers to pay you for your services. For instance, with invoice financing Australia, it’s easy to release your cash from unpaid invoices by invoice financing. In fact, it offers 48-hour approval and 80% of the invoice value credited within as little as 24 hours. The remaining 20% is provided once the customer pays. Anyway, combining a team loan with invoice financing makes sense when your business needs to expand its capital. Imagine, you need to hire new employees, this smart financial blend can cover the void. Use this smart financing blend for any business-related expenses that require more capital than is immediately available with the cash flow of your business. When you start a business, it can be difficult to get the money you need, especially if you don’t have a history as a business owner. Luckily, modern lenders have made it easier to get loans for your business, though you won’t find it easy sometimes. When it comes to extra cash for any purpose at all, say for a wedding or a brand-new laptop, consider applying for a personal loan. In light of this, it makes sense to use a personal loan for business, depending on your circumstances, indeed. Even though small business loan approval rates are on the rise, large banks are only approving 25,9% of the loan applications that come through their doors. This means that about 75% of small business owners are left in the lurch. For that reason, it makes sense to mix invoice financing with a personal loan for business, as at the end of the game, you can cover the bills when you have a void period. As the result, you can ensure your business is still alive. This type of loan may not seem like much ($35,000), yet, remember it’s a personal loan and you can use your personal records rather than that of your business. As the name suggests, equipment financing is a great option when it comes to investing in hard assets for your business. Say, if you need expensive equipment but can’t afford to pay out of pocket or you need to replace your equipment because it has a short lifespan, equipment financing is just the thing for your business. Yet, combining equipment financing with invoice financing can help you reinforce your business growth and protect it from short-term cash flow squeezes. Anyway, carefully do the math and read over the contract to ensure the terms work for your business best. One thing to remember is that there’s no silver bullet here. All of the business loans available out there have their benefits and flaws. Your task though is to focus on your purposes and then finally make the best decisions. Depending on your business goals and particularities, it makes sense to use smart combinations of invoice financing with other loans. Want to make the invoice financing simpler and quicker? Learn more about an alternative to secure flexible funds and make investments in future growth.